Ruffle Swing Dress Just $16.99! Down From $43! Shipped! 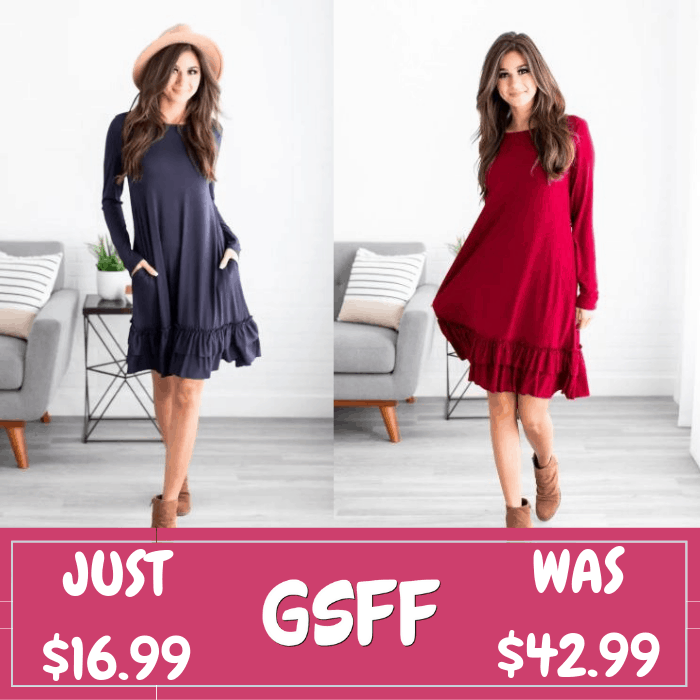 You are here: Home / Great Deals / Ruffle Swing Dress Just $16.99! Down From $43! Shipped! Until February 2 only! Hurry over to Jane where you can score this Ruffle Bottom Swing Dress for just $16.99 down from $42.99 PLUS FREE shipping! Add some sass and class to your closet this season with our Elliana Ruffle Bottom Swing Dress! You will love the flattering swing fit, fun ruffle detail along the bottom, pockets, and semi-loose cut! The super soft lightweight fabric and fun colors take it up a notch! Wear it with some fabulous heels or rock it casual with your favorite pair of booties!